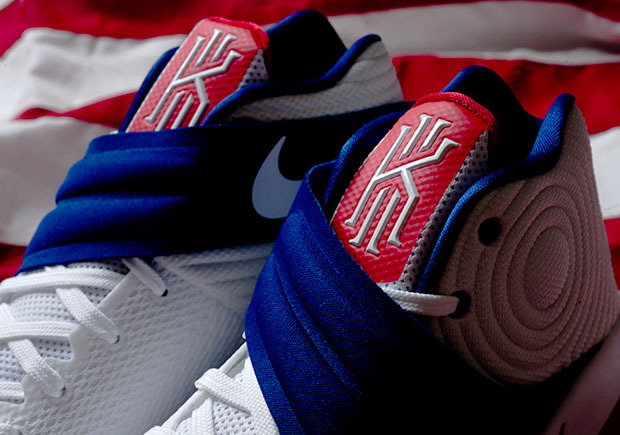 The 4th of July is almost here and that means fireworks, cookouts, and patriotic sneakers are all on the way very soon. 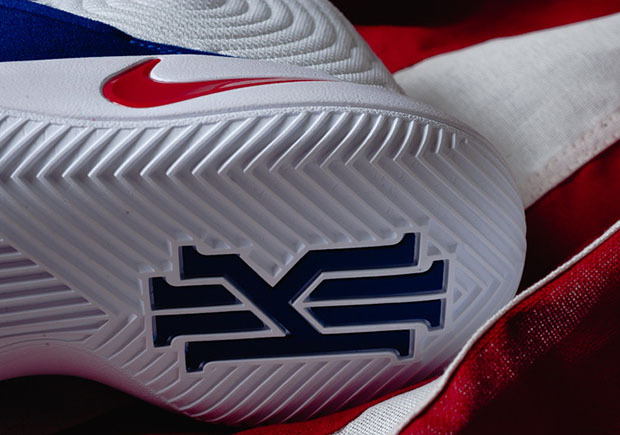 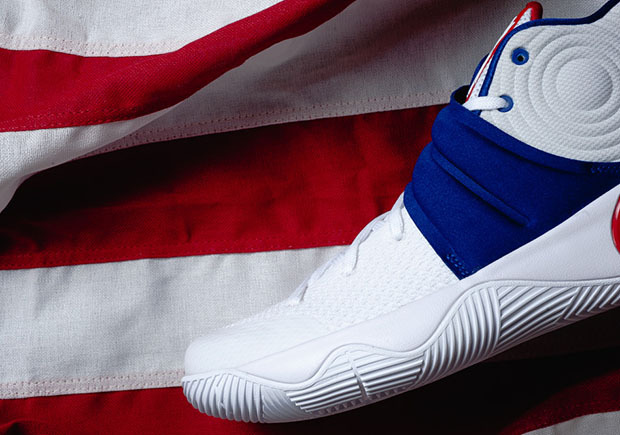 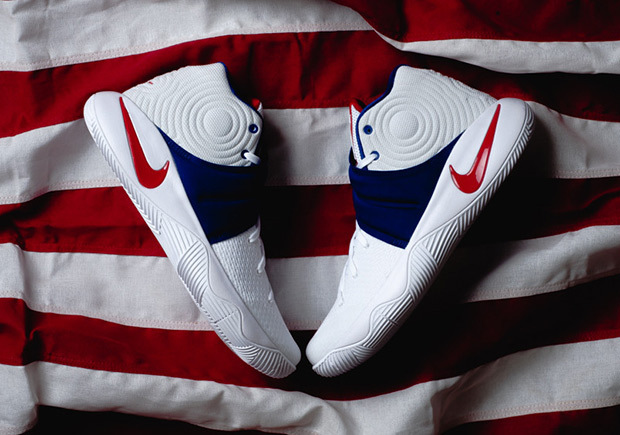 But unfortunately, it looks like the Nike Basketball’s new red, white, and blue version of the Kyrie 2 that was initially thought to be dropping on July 2nd won’t be part of the Independence day festivities. 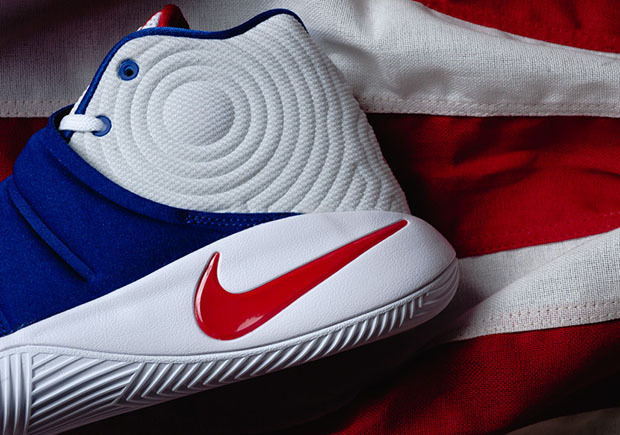 Still releasing internationally on July 2nd, the USA themed version of Kyrie’s second sneaker actually isn’t dropping until July 18th here in North America—leading us to believe that Nike intends this to be Kyrie’s shoe for the Olympics in August more than a 4th of July theme colorway. 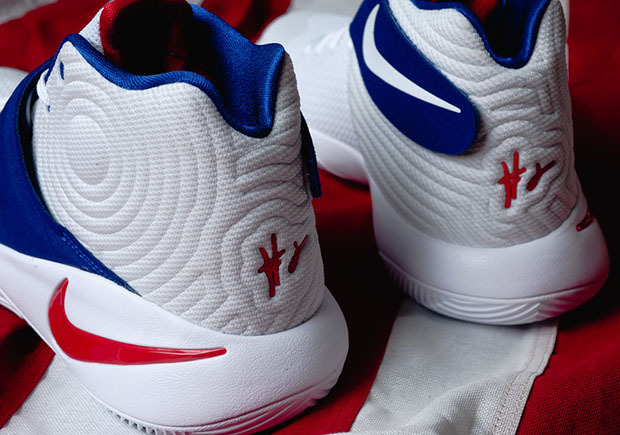 However, this late release date change may only be affecting the release on Nike.com, as boutiques like Sneaker Politics who already have them in stock are still reporting a July 2nd launch.